As a wedding photographer, you know how important that special day is for any engaged couple. They want everything to happen just as they planned: vendors—florist, caterer, DJ or band, limousine service, etc.— arriving when they promised and providing exceptional professional service, perfect weather and no problems. It’s even more important, considering the average cost of a wedding during 2012 was $25,656. You can show your professionalism and protect your reputation and your clients’ big day by recommending that they purchase a wedding insurance policy. According to insurance industry data, wedding vendors were the source of most wedding insurance claims, at 24%, with vendor illness or injury, second at 19%. Unfortunately, of all the vendors, most of the claims are a result of problems with the photographer, at 58%. Caterers who close their businesses prior to the wedding are responsible for 21% of problems. DJs account for 11% and wedding planners another 5%. Other claims relate to problems at the venue, 15%, and weather disruptions, 14%. 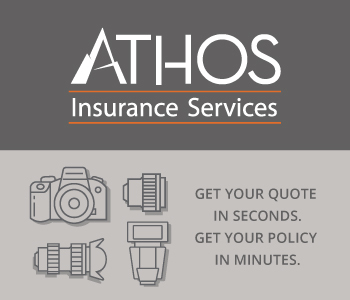 Undoubtedly, as a professional photographer, you do everything you can to be sure you deliver on the promises you make in your contract with a wedding client; however, a last-minute illness or injury, stolen equipment or a family emergency could cause you to be suddenly unavailable. Recommending wedding insurance shows that you care about your clients, even if the worst should happen. The cost of a few hundred dollars is certainly a worthy investment when weighed against the average cost of a wedding. Wedding insurance policies may also protect your clients from lost deposits; perishable items, such as food and flowers; unexpected cancellation due to weather; lost or damaged photographs, albums and video media; damaged gifts; and liability claims if a guest is injured due to accident or negligence on the part of vendors or the venue. Although it won’t be exactly the same as the special day of their dreams, having wedding insurance will allow the couple to re-schedule some or all of the events of their wedding. New photos can be staged with new flower arrangements, renting tuxedos and other items won’t cost any additional money and family and friends can gather at a future reception to celebrate and the enjoy the nuptials that were interrupted or cancelled. As you know, a wedding photographer depends on word-of-mouth recommendations and referrals. When you caution your clients not just to think about the upside of their wedding, but also the accidents and unforeseen events that could spoil it, and then to protect themselves with wedding insurance, you are being a true professional. If something unfortunate should happen, and you are the source of the problem, then your clients are more likely to tell others that you did everything you could, and that makes you the best photographer for their friends’ weddings too. Always rely on the expertise of an insurance provider that specializes in serving commercial photographers and videographers…and their wedding clients…such as PackageChoice. These professionals know the exact insurance coverage you need.